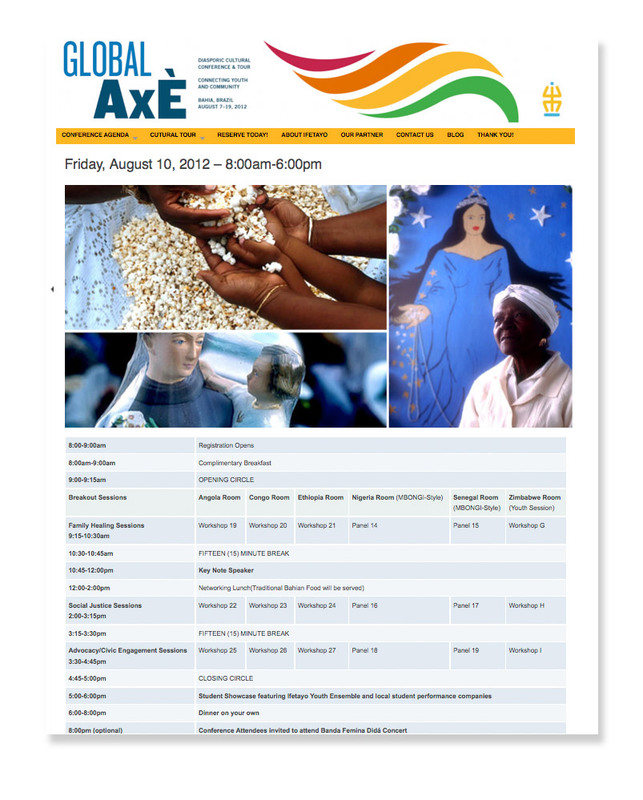 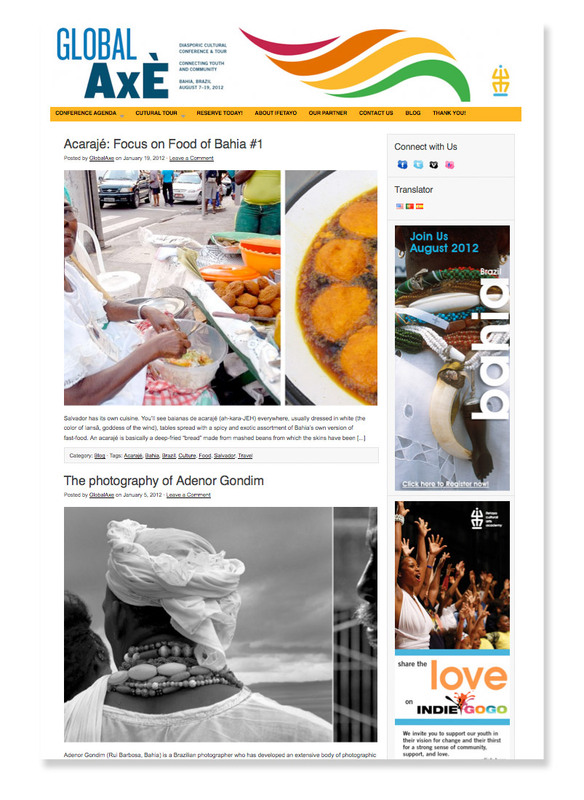 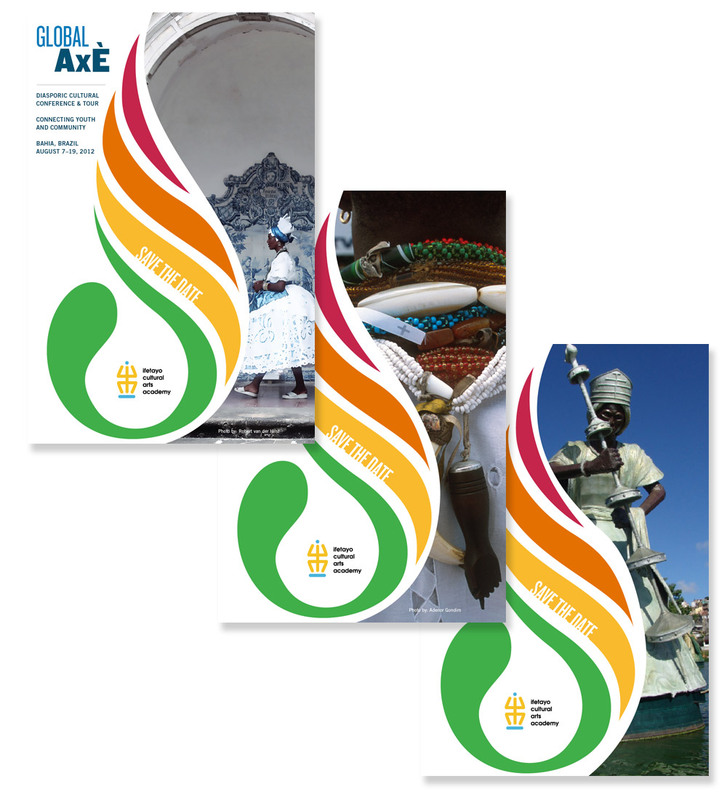 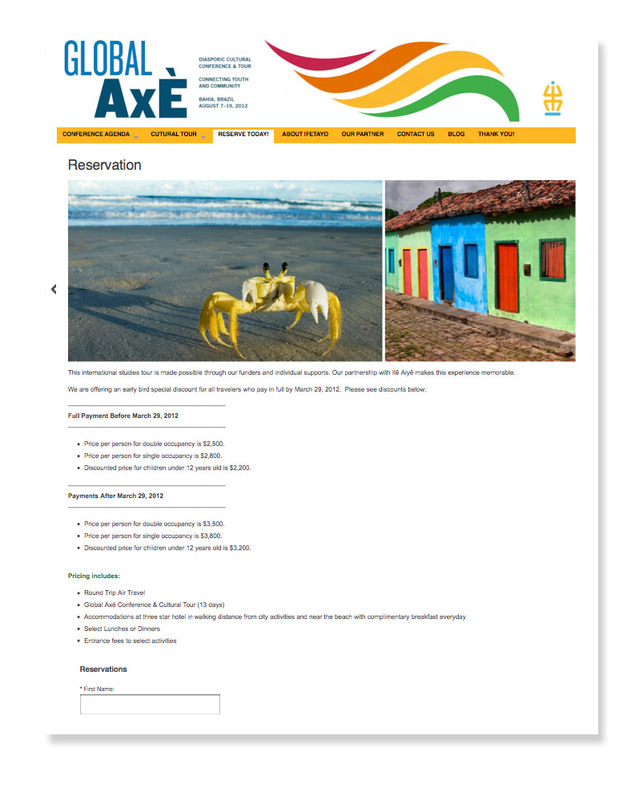 Global Axé is a youth cultural conference that takes place in Bahia, Brazil August 7 – August 11, 2012. 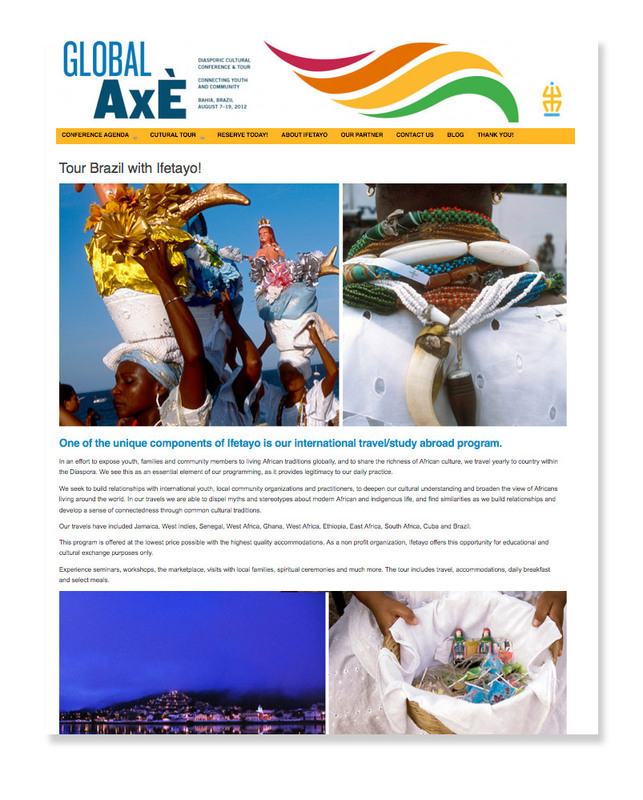 The cultural educational tour focuses on African centered development in Brazil in the areas of arts & culture, economics, social justice, politics, education, spirituality, heritage & community development. 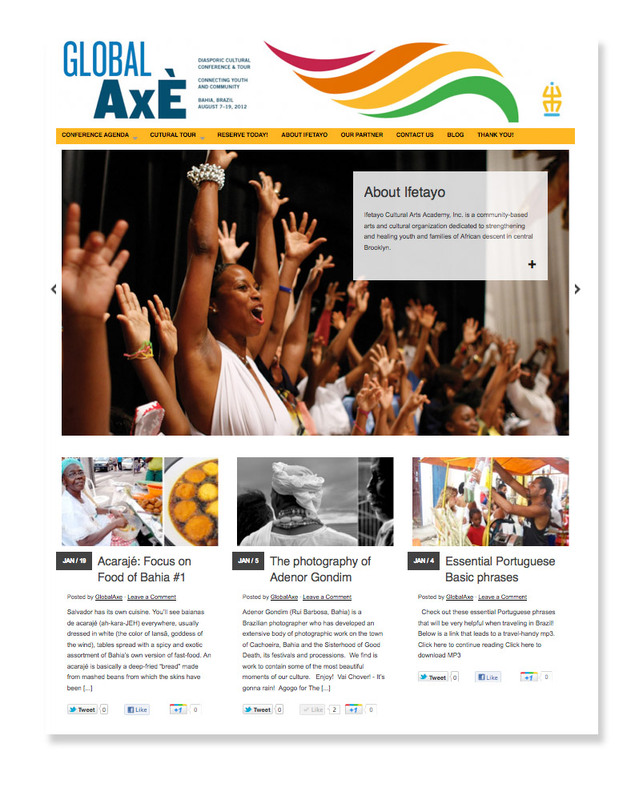 Ashay’s plan for Global Axé included: conference branding, promotional materials, web site design, continuous blogging and social media strategy.